Refrigerator cars carried a wide variety of perishable foods ranging from bananas to meat and just about everything in between. Time was important for quick delivery. Often, refrigerator cars destined for a specific seasonal market were blocked together in a train. 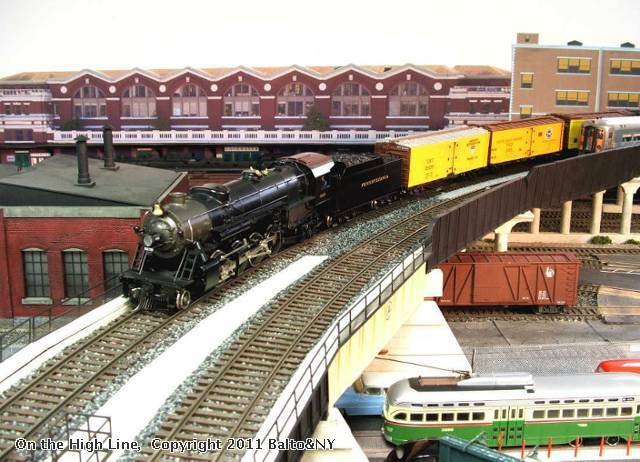 Here is a late 1940s scene of such a train, making its way over the Baltimore & New York high line to Edgewater Yard.